Bridging the gap between business owners and accountants with customized bookkeeping solutions. We use Software-Driven Technology and machine learning to revolutionize how your financial information is collected and use cloud-based accounting systems so you can access your records from any remote location. We love entrepreneurs and will assign you a personal bookkeeper to match your needs. We can be your Full-Charge Bookkeeper or provide training and ongoing support. We can be your third-party consultant as needed, when you're looking for additional assistance or an external review. We can help you bring your bookkeeping into the 21st century. We are certified in popular QBO-compatible apps, such as: TSheets, Bill.com, Hubdoc and Expensify. We specialize in financial services for Entrepreneurs, Start-ups and Small Businesses. To bridge the gap between business owners and their CPAs by offering unparalleled accounting, bookkeeping, and HR services with custom solutions and honest, accurate advice. Have you seen our Chamber video? Check out our team! We WON! Check out the Times Free Press article about all the winners. 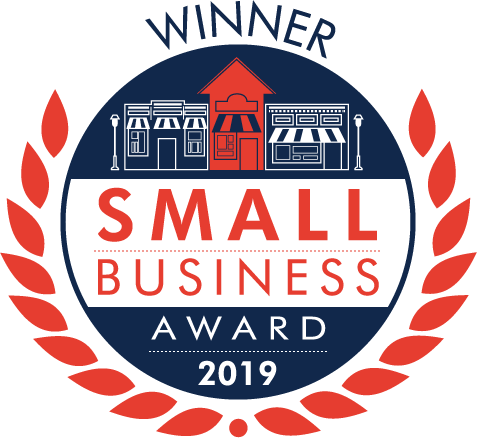 We’re a top 3 finalist for the Chattanooga Chamber’s 2019 Small Business of the Year Award! The Chattanooga INCubator Has A Hatched Chick!